ISPARC Move | Play | Compete – Apply to Become a FitNation Leader Today! Submit your application today and join 100+ FitNation leaders delivering programs across the province! Twelve successful applicants will enjoy 3 days of experiential learning, mastering the dynamic movements of FitNation, led by Master Facilitators and FitNation Mentors. 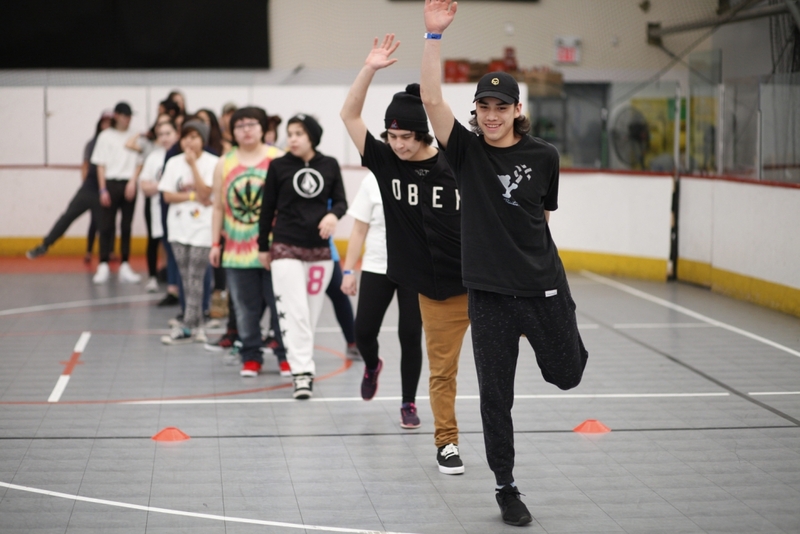 The FitNation program is in high-demand for communities, designed for community champions looking to enhance their peoples’ well-being with a fun and safe physical activity program designed for Anyone, Anytime, Anywhere. If you have a passion for keeping your community moving, you are eligible to apply for FitNation leader training! FitNation training equips leaders with skills and resources which empower them to design and deliver a physical activity program, for any age group, and any fitness level. Use FitNation to Frankenstein kick around your classroom, get the most out of your modified chair workouts, or get your co-workers away from their desks for active breaks. The possibilities are endless with this dynamic set of movement skills! FitNation leader training includes expert teachings on over 70 FitNation movements, workshops in physical literacy, the holistic model, nutrition, and program development strategies. Trained leaders return home confident in delivering a required 8-week FitNation program in their community. Those selected to attend will have all travel costs and expenses covered by I·SPARC. Continued training and education opportunities (i.e. BCRPA continuing education credits, fitness and health related webinars, mentorship opportunities, FitNation 2.0).